As per reports from the American Dental Association (ADA), one-fifth of the septuagenarians haven't met a dentist within the last 5 years. Fears or years of neglect have made majority of the older patients resistant. While some don't understand the need to visit a dentist, some others are not mobile enough to visit the dentist's chamber on their own. Older patients might have a history of stroke or arthritis due to which they are not be able to take care of their teeth on their own. Even for those patients who are eager to take care of their teeth, paying for care is becoming a challenge. Medicare, which offers medical care for seniors who are above 65 years, doesn't include regular dental check-up and there are many seniors who lose the coverage which they had on other insurance policies due to retirement. On the other hand, Medicaid, which is the insurance program for the low-income earners, doesn't allow states to offer adequate dental care to adults. So, what should you do in order to take care of your dental health? 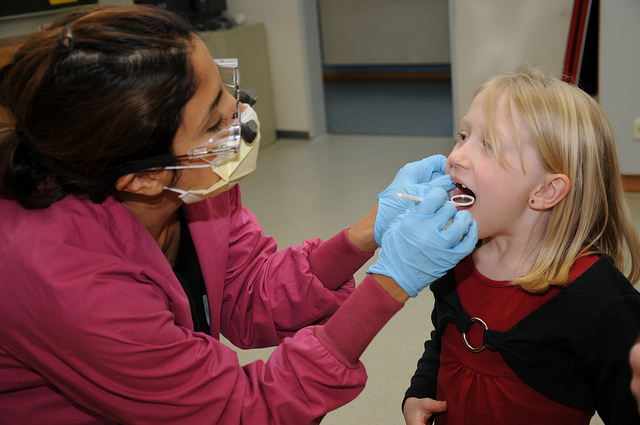 Don't you think you should opt for dental insurance coverage? If compared to health insurance, dental insurance will cost you much less in premiums but there's definitely a catch to it. Dental insurance policies have a yearly limit to coverage, from $1000 to $1500 per year, with $50 to $100 deductible. Nevertheless, that shouldn't discourage you from getting yourself a dental insurance policy. Have a look at some steps to choose the best dental insurance policy according to your needs. Watch out for group coverage: Majority of the people holding dental insurance policies reap benefits from their employer or any other coverage programs like Affordable Care Act, AARP or other public insurance products like Children's Health Insurance Program, Medicaid and TriCare. Such plans are usually less costly than the individual insurance and they may also have other benefits. But despite that, you should take a close look at the details of such employer-sponsored plan so that you may know whether or not your premiums are worth your dollars. Compare and contrast different deals: Did you know that if you're presently going without coverage due to a sudden job loss, there are dental insurance packages for those who are leaving group plans? In order to be eligible for such guaranteed coverage, it is best to apply for insurance policy within 60 days of losing your previous coverage benefits. Hence, don't fret about any pre-existing dental condition as there are plans available for all kinds of people. Know about the coverage levels: Here comes the pivotal role of an insurance broker as he is the best person to help you determine your individual coverage needs. However, if you're already receiving regular dental care, your dentist can offer you details on treatment plan that you may need in the near future. Otherwise, some coverage options include basic coverage (services like routine check-ups, cleanings, filings, X-rays), comprehensive basic coverage (services like root canal, periodontics and maintenance of dentures) and major service coverage (services regarding crowns, dentures and bridgework). Analyze the list of dentists in the network: Unlike the indemnity insurance plans, the HMO and PPO plans don't allow you to choose your dentists. If there's a dentist whom you prefer, ask him which discount plans he accepts. If you don't have a problem with using a new dentist, a PPO or HMO might be good for your needs. However, you should be wary about a new dentist who tells you that you need to be wary about a lot of unexpected work. It is therefore better to ask for recommendations of a local dentist who has a good reputation. Know the coverage of your policy: If you wish to follow a budget for maintaining your dental expenses, it is vital for you to review the insurance policy before considering it. Does it cover gum cleanings, restorations, denture repairs, oral surgery and root canals? What are the services which you would like your insurance policy to include? Therefore, check twice whether or not the services are covered in your policy. While you purchase dental insurance coverage, you should be aware of the fact that some of the major processes might not be included within the first year and despite that, the benefit that you reap will be only half of what the dentist might charge you. Just ensure paying your insurance premiums on time so that it has a positive impact on your credit score.